How To Change - in 4 steps! You might want to change something about your life - but how do you DO that, and ensure that it lasts? Changing something seemingly small in our lives can have great repercussions - and create a positive ripple effect which reaches and impacts those around us. We might find it easy to bring about some superfical changes - yet struggle with the deeper and more meaningful problems in our lives that we want and need to change for the better. There is an internal process that we need to go through to ensure that change happens and lasts. We need more than simple alternative cognitive or behavioural suggestions to think and do things differently. The 'don't do that do this instead' approach has limited efficacy. If we don't know understand WHY we have been doing something (which includes active avoidance), the we are likely to swap one undesired behaviour for another. I think it helps to have a structure to guide us along the process of real and deeper changes to our lives. This bring us changes that are tangible and effective - the sort of changes that will enhance our lives and enable us to climb the ladders rather than slip down the snakes. STEP ONE - What is happening? Be clear about WHAT exactly you want and need to change - and WHY. What about this problem are you willing and able to take responsibility for? How are you perceiving, filtering and reacting to this problem? STEP TWO - Where does it come from? What aspects of your own past might be contributing to this problem or situation that you want to change? If there is another person involved, what role do they play which somehow seems familiar to you? Might this be a reflection of your own childhood trauma(s) neglect or abuse, your emotional attachment style, your internalised self-concept and inner self-talk, or your projections onto other people of your own 'issues'? The past is being subconsciously replayed in the present - in our relationship with ourselves and our interactions with other people. We need to explore and understand the origins of our problems - and not prematurely or superficially cover them over - otherwise the underlying causes will surface in a new problematic behaviour or situation. How will things look and feel when they've changed as you want them to? Might there be any knock-on problems created - and what might they be? STEP FOUR - How will you create and sustain the change? What will you now be doing differently to bring you the new scenario that you desire? How can you ensure that you don't slip back into the former pattern that created or sustained the problem? Changing ourselves at a deeper level includes learning and practicing new communication skills, re-framing negativity, making peace with the past, boosting emotional intelligence, releasing blocked emotions and body armouring - and being empowered to have control over our lives, and to ensure that our daily actions are now	focused towards reaching and maintaining our long term goals, and that our progress is monitored. These four main steps also correspond the the over-arching process and aim of my products and services ... helping you to S.E.L.E.C.T. Your Life (c) and not to passively accept the one handed down to you - which may be bringing you the recurring problems in your life that you want to change and move on from. Step 4 relates to our Learning new skills, finding Emotional balance and intelligence, Control, clarity and choice... which then bring us the deeper changes that result in our Transformation! When you control and change yourself 'from the inside out' then you create your preferred life - on your own terms and in the knowledge that you can continue to make any other desired changes along the way. It's vital to feel empowered enough to make changes to your life - and to believe that you can do it! Your beliefs will determine the action you take and the results you get. When you make changes for the better it re-enforces your self-concept, self-esteem and confidence - allowing you to make better decisions and changes ahead. 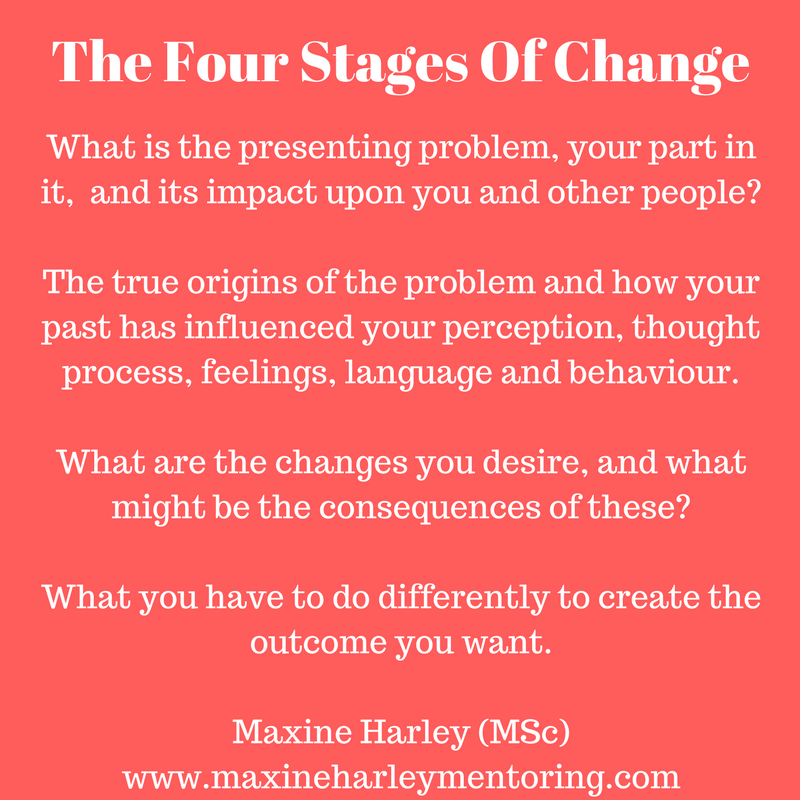 www.maxineharley.com - Find out 'HOW TO TELL IF YOU NEED TO SORT YOURSELF OUT' - a free download questionairre to help you to see what gets in the way of you making desired changes to your life, and how YOU might be the actual cause of your problems. There is also help for you to overcome a troubled childhood and difficult or toxic parents – to heal and re-parent your inner child and make peace with the past. You will find here a page of FREE RESOURCES HERE to get you started. You will also find 5 different self-help courses (only £37each) and childhood/toxic parent recovery coaching programmes. 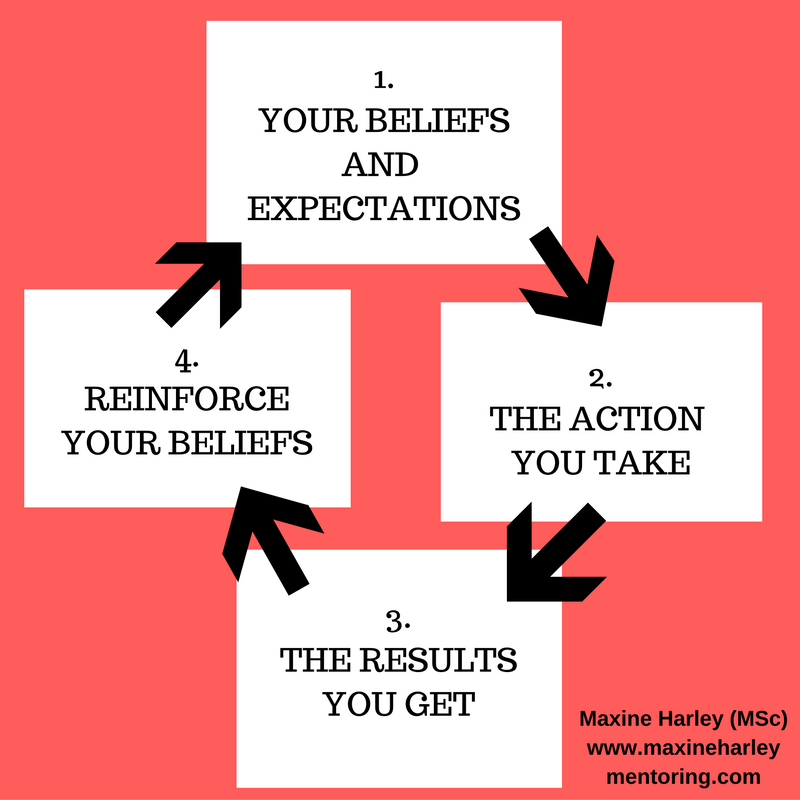 www.maxineharleymentoring.com - Helping women to understand and manage their emotions, boundaries and behaviours, and to stop the past from interfering with the present and future in their home and working lives. www.qpp.uk.com - The 'new paradigm in therapy' which reveals, reviews and revises the sub-conscious beliefs which have been getting in the way of your happiness and well-being, and creating the problems that you now need to change.